Home » the blog » The ugly e-book! 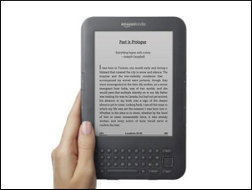 Good typography and cover design – how important is it to the e-book reader? This article from WIRED magazine highlights some concerns that I’ve long held about our new digital world of ebooks. In particular, the loss of the wonderful art of the typographer, not to mention a well-designed cover. Let’s hope that developers are onto it!